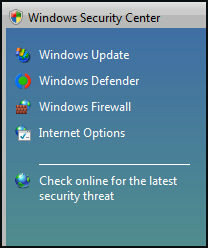 The Windows Security Center (WSC) is a container object found in the Control Panel. WSC is growing in size, and in addition to Windows Update and Firewall, it now also contains Windows Defender. Like Microsoft’s XP version, WSC also has Internet Options, which is a link that takes you to the IE7 settings. In Vista, Windows Update supports the full range of options. You can download and install security patches at a time, and in manner, to suit any machine. In a Domain environment, Windows Update is best configured via Group Policy. One useful feature of the WSC is the ability to double check that the machine is indeed up-to-date. I also like to review the history to see which patches my machine has downloaded. Not only are Adware and Spyware annoying, research indicates that they cause a significant number of hangs and crashes. Less obvious are the numerous hesitations that you see when browsing or even typing. Windows Defender is dedicated to blocking not only Adware and Spyware, but also keyloggers, bots and rootkits. However, to detect viruses and Trojan horses you still need additional anti-virus software. 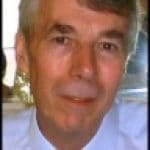 Norton has been around for long time and Microsoft are pushing their own product: OneCare security. For a quick check, click on Scan and make sure that no malware has recently infected your machine. 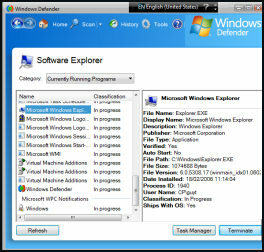 One interesting feature of Defender is the Software Explorer. 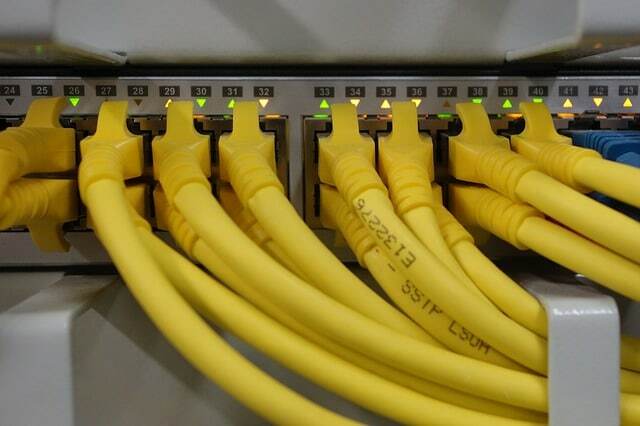 This picture (right) is just a thumbnail, the full interface shows Startup, Network and Winsock problems. 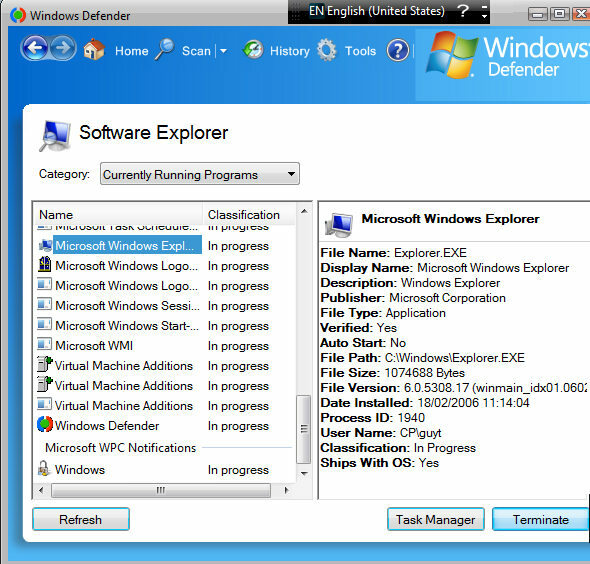 The Software Explorer is Windows Vista’s troubleshooting center which links to the Task Manger, in addition, be aware that all significant Windows Defender actions are logged in the Application log. In Windows Vista, one of the new capabilities of the Firewall is, filter outbound packets (as well as block incoming traffic). As a result, malware is easier to detect and block if it tries to send its nefarious results through a different port. 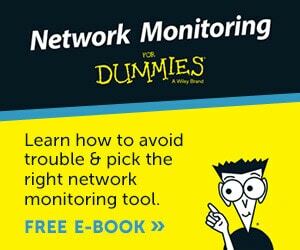 On a corporate network most of the Windows Security Center features are controlled by other methods, but in the home network, a properly configured Firewall will thwart most of the common network attacks. In Vista, Internet Options takes you to the properties of IE7. This entrance to the IE settings is an alternative if you are in security inspection mode, or if you cannot open IE7 because malware has take over the other route. Windows Security Center (WSC) provides a focal point to review a machine’s security. WSC is useful for home machines, for example the Defender to check for Malware, and the Firewall to check that key ports are blocked.